With the offensive in Mosul, Iraq intensifying, humanitarian groups are voicing concerns about the fate of tens of thousands people stranded there. The president of the Red Cross told RT about the challenges of those helping the refugees of the conflict. Saying that “the humanitarian situation for those who have been displaced by the conflict is difficult in many respects,” President of the International Committee of the Red Cross (ICRC), Peter Maurer told RT that the conditions are dire for both those already in the refugee camps and refugees who have just been forced from their homes by the fighting. “[People] have been living in camps for two or three months now and, despite all the efforts of responding with water, health, food and shelter services, the situation in the camps is not easy, and people are eager to return back. At the same time, we see more displaced population coming out of Mosul from the fighting,” Maurer said, speaking to RT from Erbil, an Iraqi city near Mosul. Earlier this week, the Red Cross reported that over 25,000 people have been forced to take shelter at a refugee camp since the conflict forced them from their homes, and thousands more in the area are still under threat. “We actually see a triple challenge. We see displacements that are continuing because of the fighting in Mosul and therefore we have to scale-up our humanitarian response. 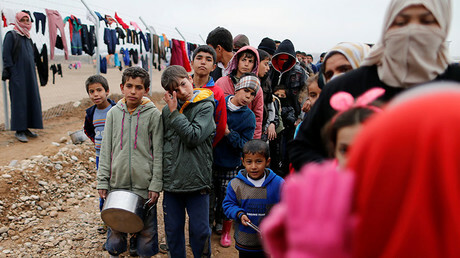 We see those who have been in camps for two or three months and we need to continue to assist and protect them... We also need to back-up those who continue to be residents,” the Red Cross head said. “The biggest challenge in Mosul at the present moment is the protection of the civilian population, which is in the city and partly exposed to the ongoing warfare,” he stressed. However, it’s not only civilians who are under constant threat in both Iraq and Syria, the ICRC president acknowledged. “I must say that I have to appreciate the efforts which have been taken by the Kurdish Peshmerga, by the Iraqi government to ensure that civilians, civilian infrastructure and medical facilities are protected. But of course this is not necessarily the case on all sides of the frontlines,” he said, adding that medical workers do not always enjoy safety and respect. Commenting on an incident in which two medics in Syria were killed in December when a Russian mobile hospital in Aleppo was bombed by rebels, the Red Cross chief said that his organization felt “sorry and expressed condolences” to the Russian personnel that had suffered in the attack. “Our position has been clear in principle, whether it is in Syria [or] in any other place of the world – medical facilities in conflict absolutely need to be protected. Of course we condemn many attacks on medical facilities, wherever they happen. It is essential that doctors and medical facilities can operate in conflict, and can protect people and assist with medical services in a neutral and impartial way,” Maurer told RT. 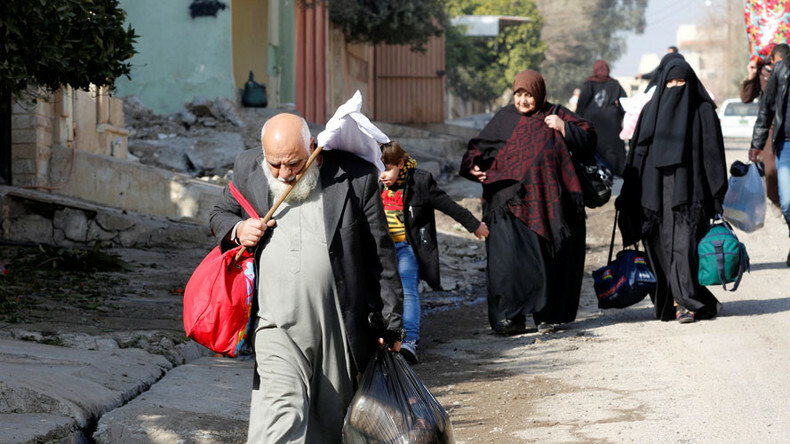 On Tuesday, the UN’s humanitarian aid agency, the Office for the Coordination of Humanitarian Affairs (OCHA), announced that some 1,000 people per day fled the fighting in Mosul last week. Since the beginning of operation against Islamic State (formerly ISIS/ISIL) in October of last year, some 135,000 people have fled the Iraqi city, OCHA spokesman Jens Laerke told reporters, adding that the UN agency and its partners have no access to or information about some areas in Mosul that are controlled by the jihadists. There are “increasing humanitarian concerns for the wellbeing of civilians in these areas,” he said, as quoted by AP.